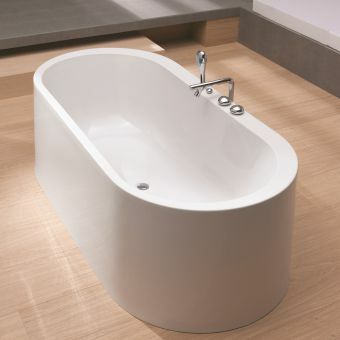 From Clearwater's range of traditionally shaped bathtubs comes this slipper bath. 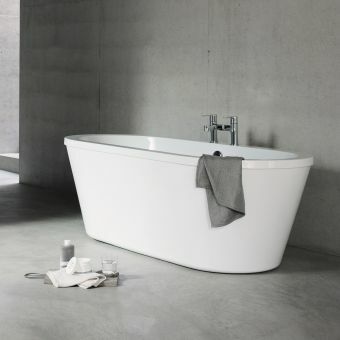 The Romano, like others in the range, is manufactured from natural stone and mineral technology, in one piece. Hand-polished to a silken sheen, its surface, unlike acrylic, can be re-polished and restored in the event of scratching or similar damage. 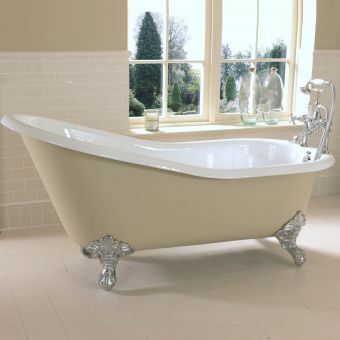 The slipper effect of the bath is produced by a raised sitting end in the bath, 110mm higher than the tap and waste end. 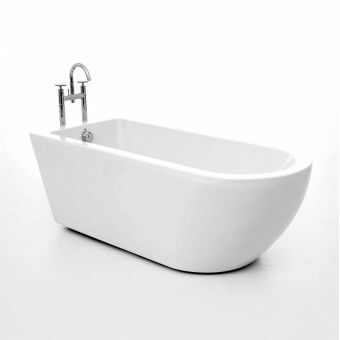 1690mm long and 750mm wide the bath has a displaced capacity of 177 litres. 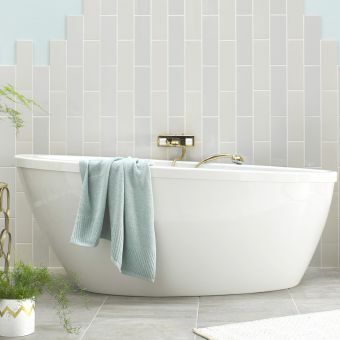 A variety of wastes can be used with the bath, p-trap, plug and chain, and click-clack. 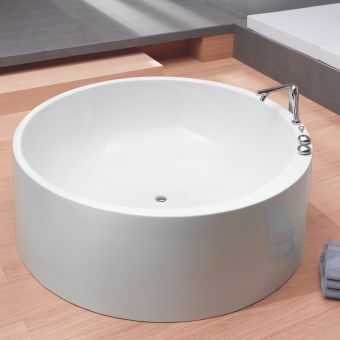 The Romano has two tap holes and comes with three choices of feet available in three different colours. 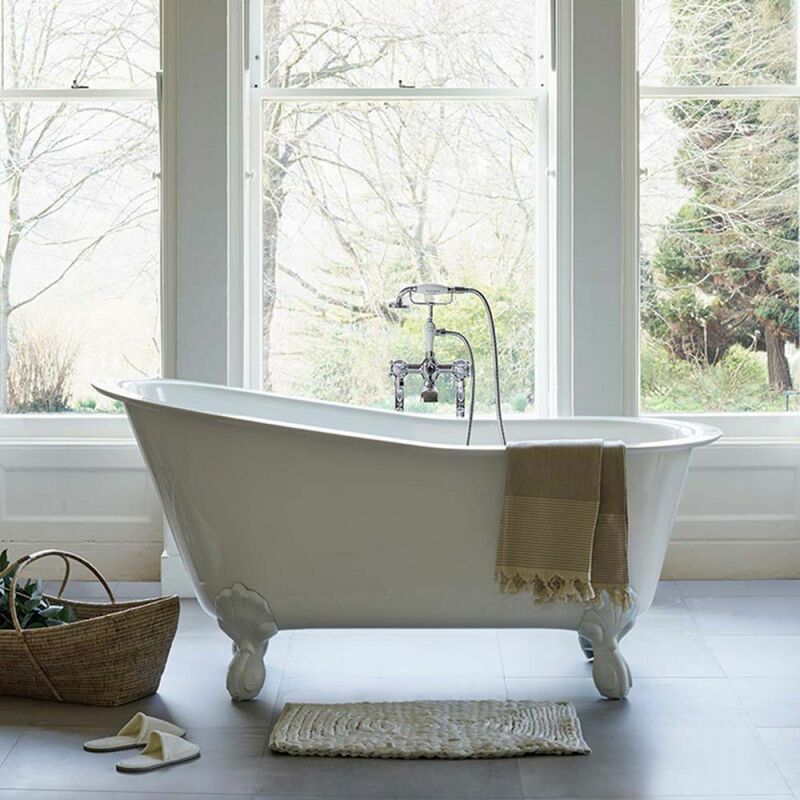 Taps and waste are not supplied in the price shown. There is a ten-year guarantee.